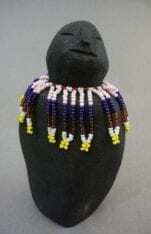 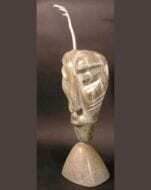 Sedna is, by most accounts, a female sea goddess. 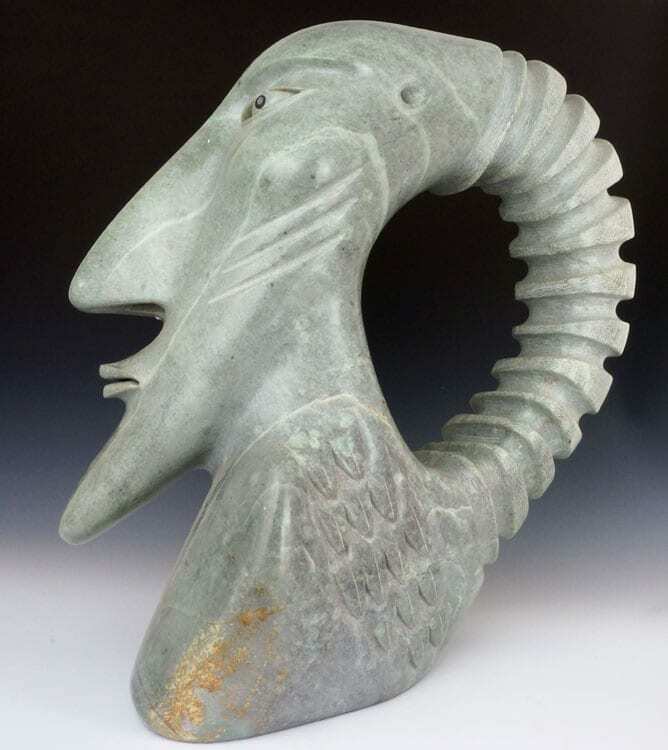 In this masterful carving, David Ruben Piqtoukun turns the legend on its ear by creating a marine being that is both male and female. 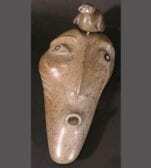 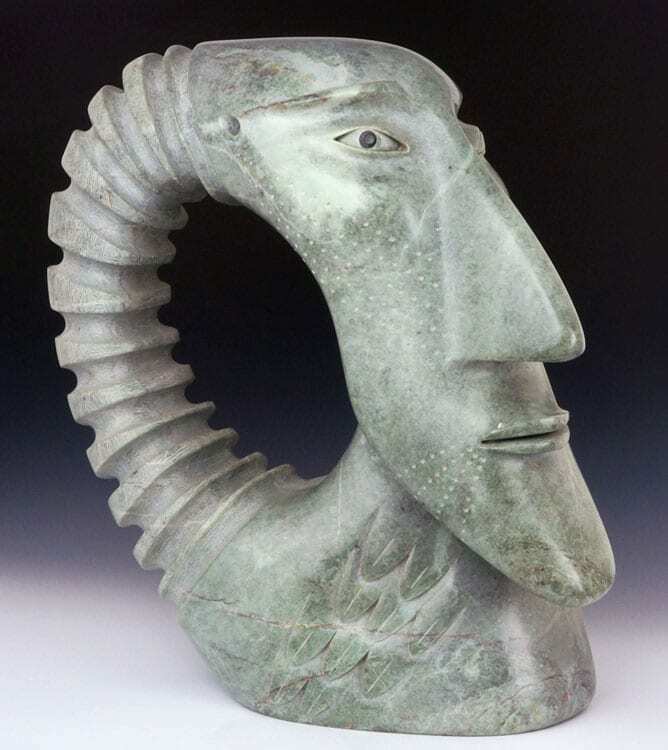 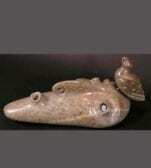 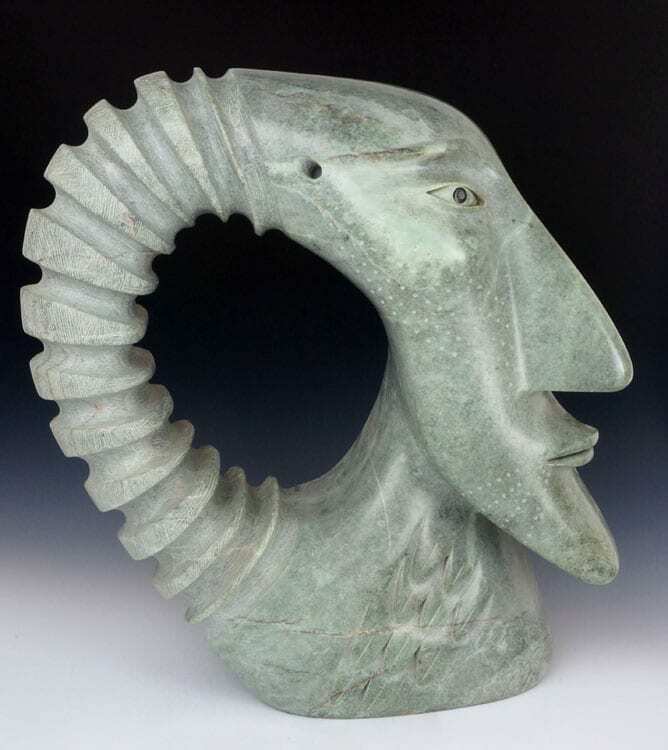 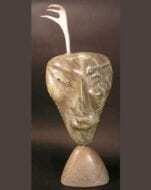 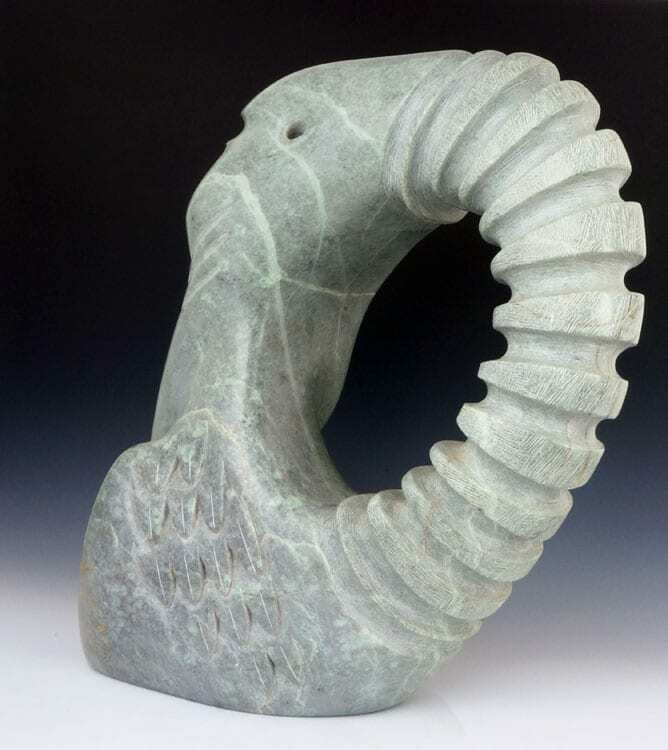 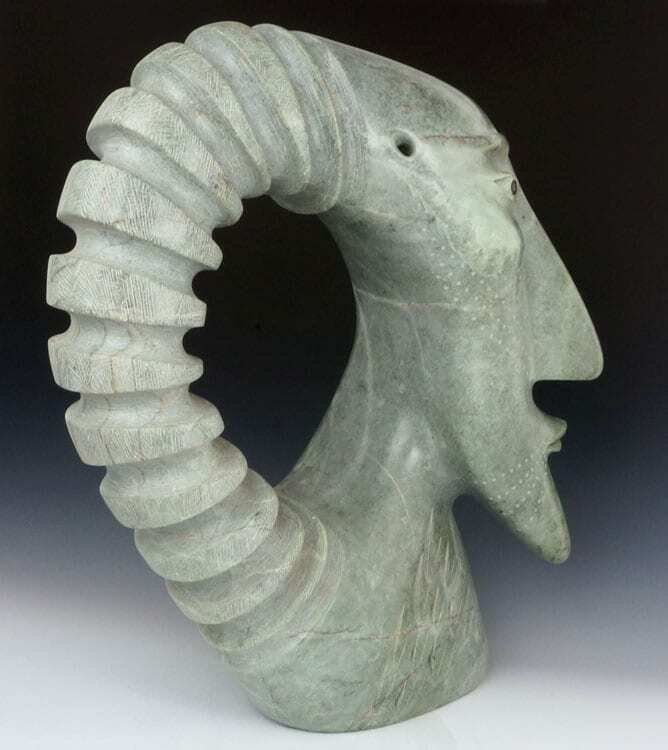 Carved from light green Brazilian soapstone. 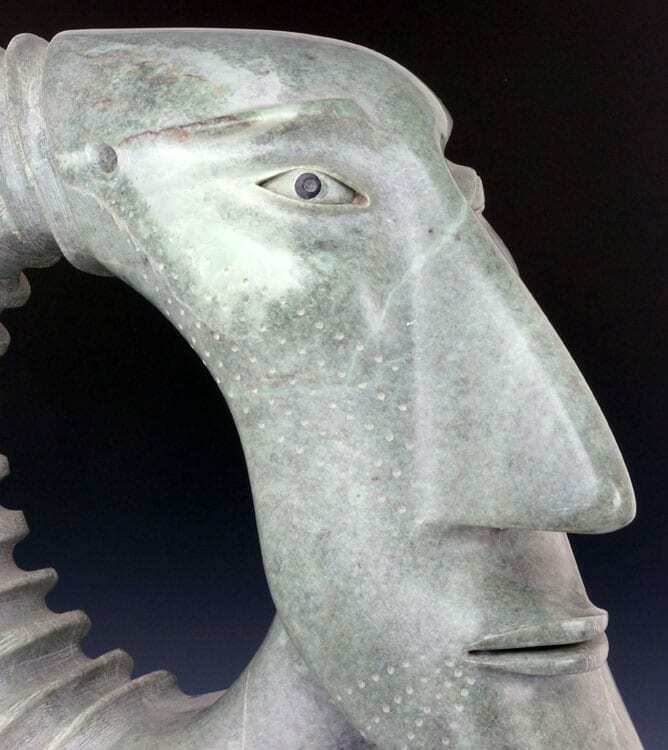 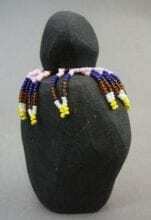 The right side of the face, adorned with small dots in a pattern, represents the female side. 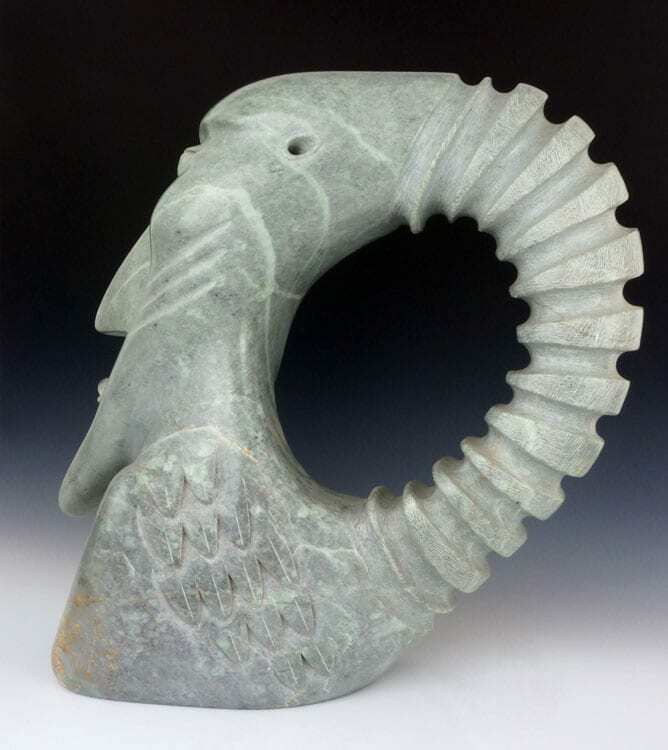 The stippled tattoos represent female Inuit tattoo decorations of traditional times.